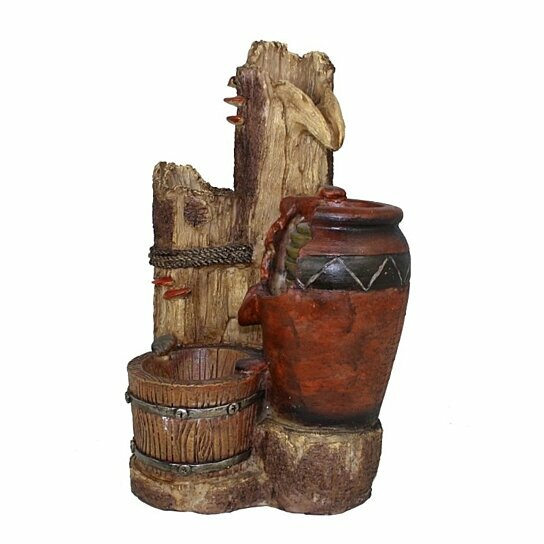 Artistically carved this giant jar and bucket electric fountain will add charm to your outdoor settings. Designed exclusively with mystical finish this enchanting decor is made from quality material and will remain in pristine condition for years. Incorporate it in your garden or at any place of your choice and allow it to spread incredible aura in your ambience. It also makes an amazing gift choice.